North Korea’s new time zone, Pyongyang Time, went into effect early Friday and changes are already being seen. The new time zone shifts time in North Korea so it’s half an hour later than the time in Seoul and Tokyo and half an hour close to Beijing. It was announced last week and was introduced on August 15 to coincide with the 70th anniversary of Korea’s liberation from Japan. 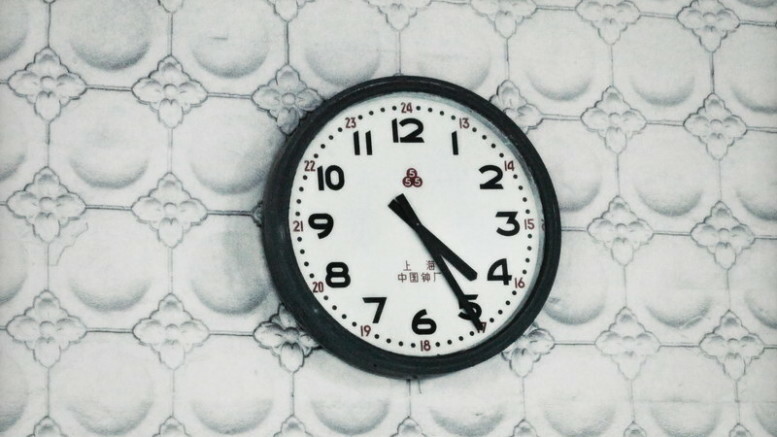 The clock on Voice of Korea’s website shows Pyongyang Time, shortly after midnight on August 15, 2015. Perhaps the biggest change seen so far is a shift in the broadcasts of Voice of Korea, North Korea’s international radio station. From August 15, all broadcasts have been shifted 30 minutes later. That means the local start time in North Korea is the same, but broadcasts will be head later overseas. The switch has also been made on domestic radio broadcasts. Radio monitors report that Korean Central Broadcasting Station, the national radio program, closed its broadcasts at 1830 UTC rather than 1800 UTC. The later time corresponds to its regular closedown of 3am local time.